Since I’m usually pressed for time, I often aim for low cook or no-cook recipes, and sandwiches are the best. Though they are practically foolproof and are really easy to make, it’s often the simplest ingredients we forget about. For that reason, I’m starting the Sandwich Chronicles, where I’ll be chronicling different samples of sandwiches for reference and for fun! 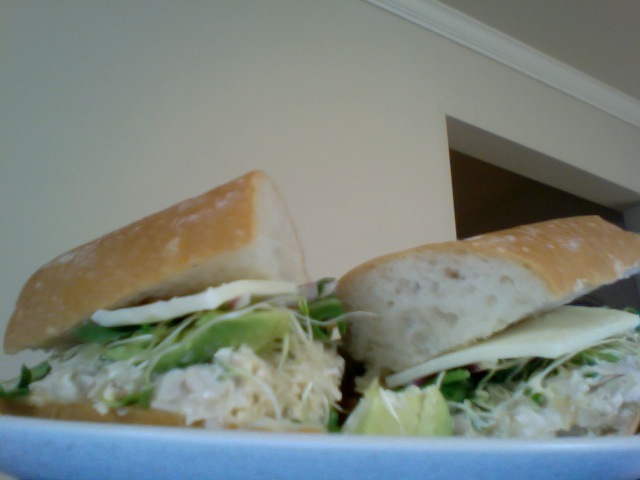 The first is a personal favorite and a classic: the chicken salad. I just made it this morning and the combination tastes great! Since I don’t have a camera on me right now, my screen cam will have to do. Super simple, I know, but it tastes so good! For the ambitious, there’s a delicious herb-roasted chicken salad.